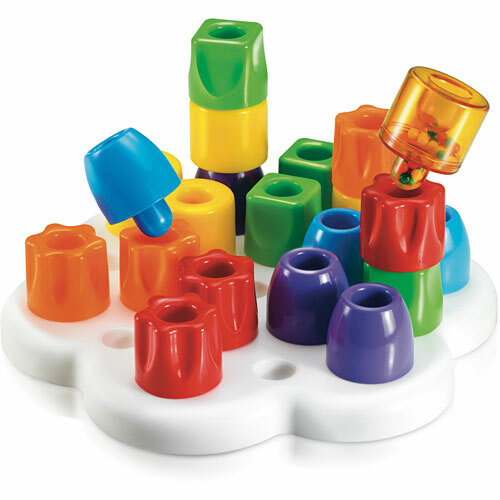 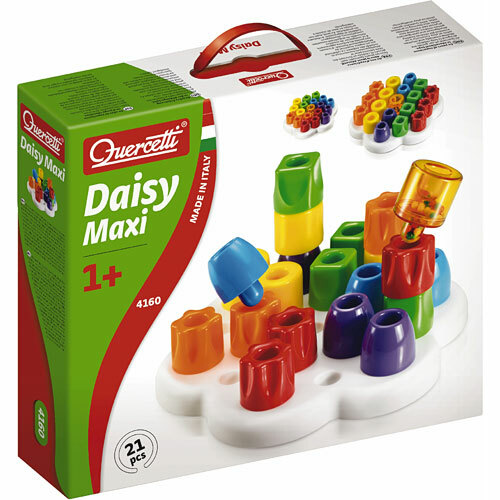 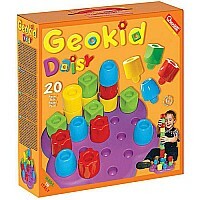 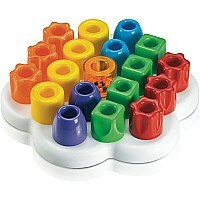 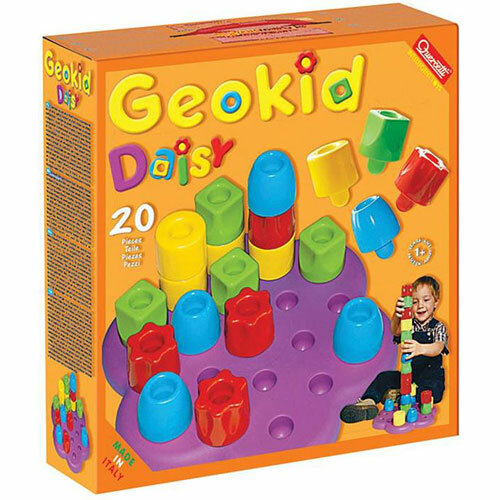 Includes large pegged base and chunky pegs in bright colors made of soft PVC-free material. Holes in top of pegs allow 3D building. Sort and stack by color or shape!